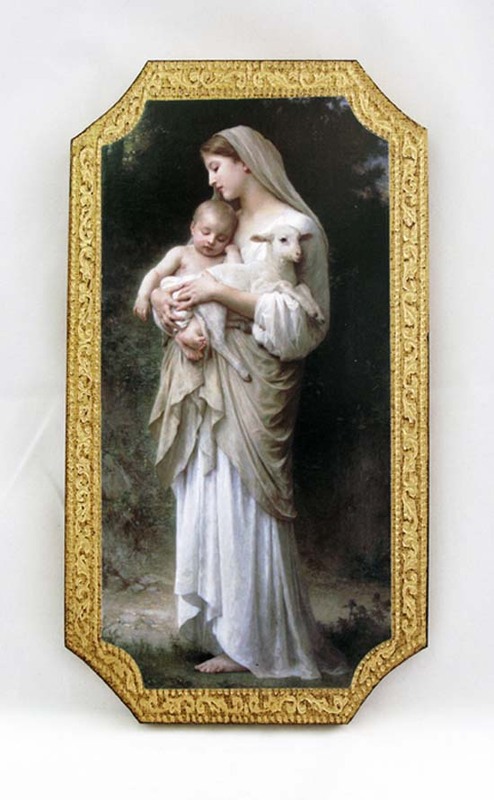 L-271-B1 Innocence by Bouguereau Florentine Plaque, 5x9"
Innocence by Bouguereau Florentine Plaque, 5x9". Made in Italy. 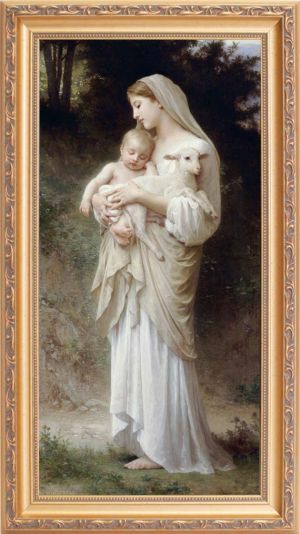 Our Lady of Innocence, a masterpiece by Bouguereau is beautifully framed in a gold, solid wood frame under non-glare glass. Outside frame dimensions are 10" x 18". Ready to hang. Drop-shipped, please allow 4-6 weeks for delivery.